Afghan war grows more visible across U.S. 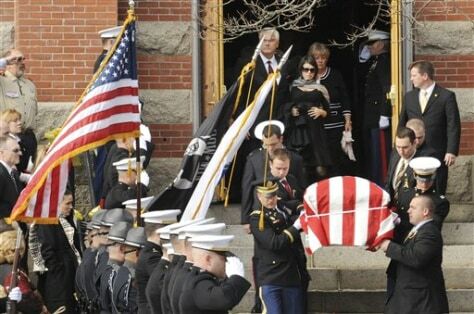 The casket of Marine Capt. Kyle Van De Giesen is carried out of the St. Mary of the Immaculate Conception Church in North Attleborough, Mass., on Nov. 6. Van De Giesen died in a helicopter crash in Afghanistan.